Providence Offers 2018 Forward Jimmy Nichols, Jr.
Providence College has offered 2018 Forward, Jimmy Nichols, Jr. from Conway High School in Conway, South Carolina. There’s no embellishing on the height for this guy. When you see him on the court, he looks all of the 6’8” that he is listed at. I have to say, I’m loving all of these recruits putting pictures of Kris Dunn in their tweets announcing their scholarship offers from PC. That’s what having a guy like Kris Dunn come through your College can do to your program. For a guy of Nichols’ size, it’s impressive how smooth of a shot he has and that he can stretch it out well past the three point line. That kind of skill set is extremely valuable to any team and can open up so many possibilities for your guards to drive and kick or your big guys to get some one-on-one matchups with Nichols’ defender having to stick to him on the outside. With the amount of athletes running the floor for the Friars, those looks are going to be open for him if he comes to Providence. With both him and PC commit A.J. Reeves on the floor, that class would be assassins from the outside. 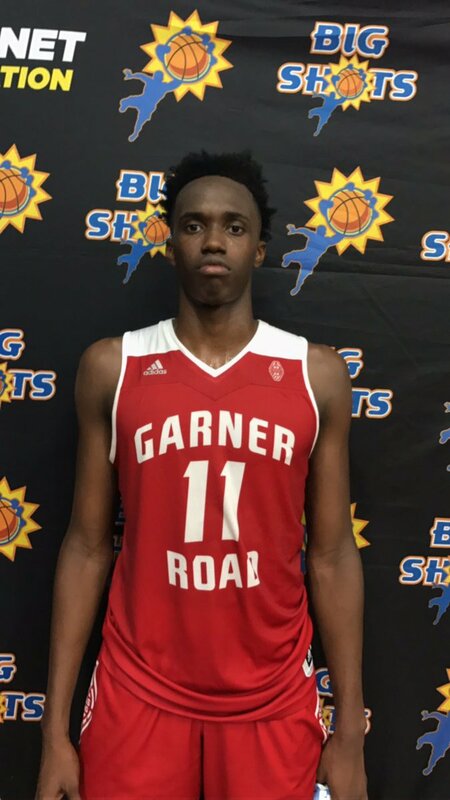 Nichols holds a bunch of offers from some really good schools including fellow Big East foe Georgetown, Miami, ASU, Pitt, and VCU, among others (I’m not going to give URI the time of day here…). I’m not going to lie, for whatever reason, the first time I saw him shoot, I was not expecting him to be a lefty. I do have to say though, with Cartwright graduating next year, we are in need of another lefty to fill that southpaw void. It has to just be a coincidence but since Cooley arrived at PC, there have been a ton of lefties that have become Friars. Just off the top of my head, you have Henton, Harris, Cartwright, & Young. A few things that jump out at me from watching some clips of him playing hoops. First, his length is crazy. I don’t like to get into wingspans and all of that like the analysts on an NBA Draft panel, but Nichols is super long. Second, his ability to shoot the ball for a guy his size. He has a certain finesse to his game that you don’t tend to see in guys that stand 6’8”. And lastly, he looks like he’ll be a good offensive rebounder. I’m not judging that off of the competition in the clips that he’s rebounding against but rather his ability to judge the ball off of the rim and go and get it. He looks like he has a real knack for that in his game.